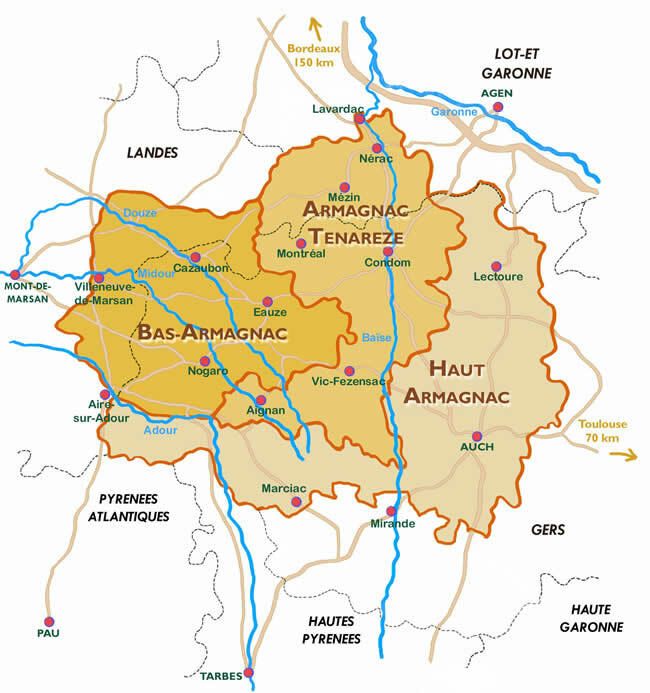 The domain has one hundred and thirty-five acres exclusively in Bas-Armagnac and is officially ranked Premier Grand Cru of Armagnac. The area enjoys a temperate climate between the Atlantic and the Mediterranean Sea, and as a continuation of the Landes, the soil type is sandy loam. Ugni Blanc, whose wines offer a full and well balanced brandy, and Colombard, that produces a fresh and vivid brandy that with age becomes a robust and powerful Armagnac. The harvest takes place in September/October. 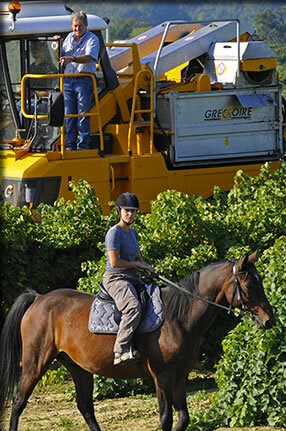 The recently inaugurated new winery, allows meticulous work by the traditional method. During fermentation, the white grape juice is converted into a low alcohol acidic wine that is ideal for the subsequent distillation. Distillation takes place at the Domain, usually in November. Time spent around the still and the first tastings of freshly distilled brandy are very friendly. On leaving the still, the brandy is colorless, strong and fragrant. Its alcohol content can vary from 55 to 60% Vol. The brandy is aged in oak barrels, from where it takes its amber colour, and is then transferred into conical casks to begin a long aging. Thus are born our prestigious vintage years that are selected and bottled in line with demand.